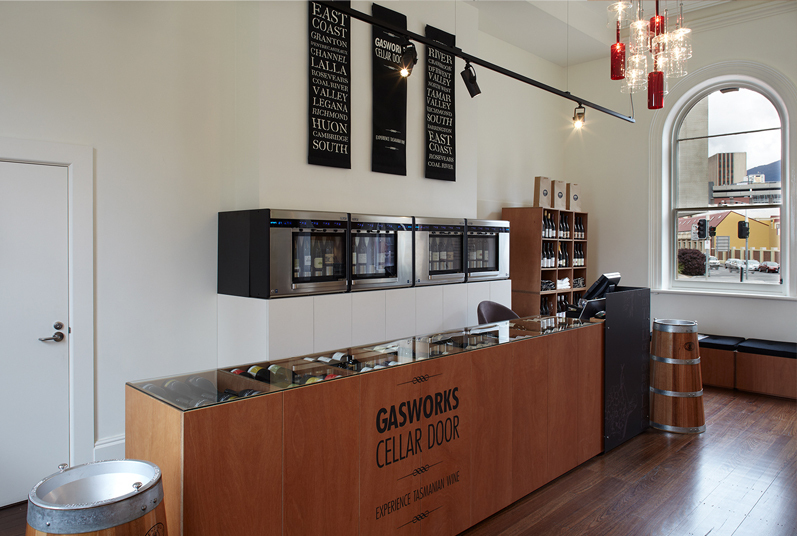 The Gasworks Cellar Door, is a new business model in Tasmania, where wineries from across the state can showcase their products. 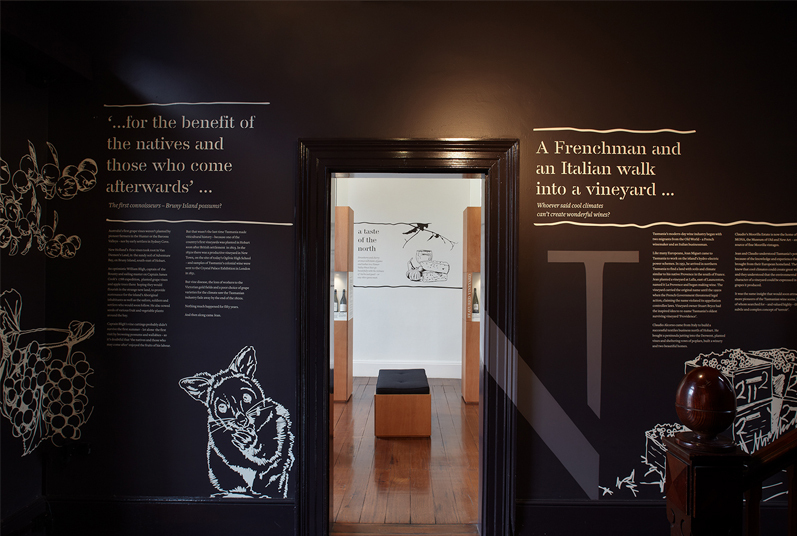 The heritage building consists of three rooms each dedicated to describing the particularities of each of the three major Tasmanian wine regions — North, East & South and a central foyer is used to describe the history of wine-making in Tasmania. 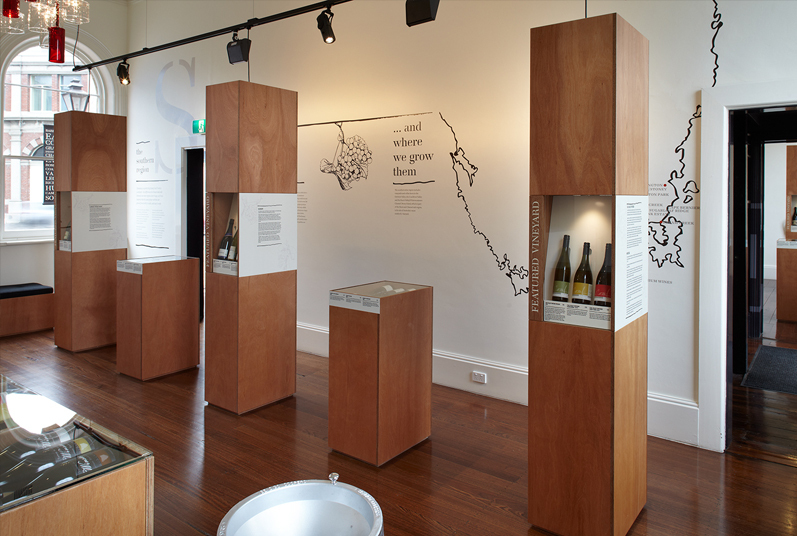 The concept has created a gallery-like experience where people can enjoy a glass of wine and learn about Tasmanian wine in the interchanging regional galleries. 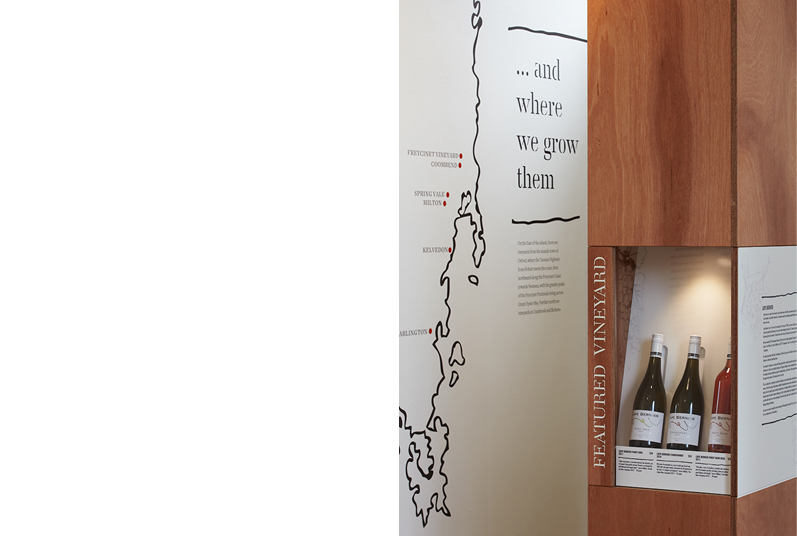 The project was undertaken in collaboration with Futago who provided the graphic design and, Chris Viney who developed the interpretive content.